Hostel booking site HostelBookers are offering the chance for you and a friend to win free accommodation in 7 cities of your choice. Choose whether to take the prize all at once or as seven different trips, and the prize includes £1,000 each to cover your travel expenses. Terms and conditions apply, see website for full details. Simply answer a question and submit your email address. 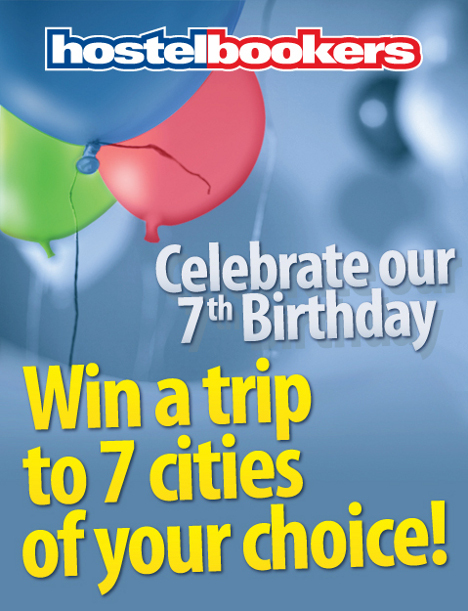 Enter at HostelBookers 7 cities Competition. The competition will close at 00:00 GMT 15th May 2011.